Castlecove Holiday Homes are situated in an ideal location just 5 mins walk from Enniscrone town centre in Co. Sligo. Castlecove is a lovely development of luxury self catering holiday homes laid out in a series of private cul-de-sacs. Each house provides spacious accommodation, sleeping 7/8 people. 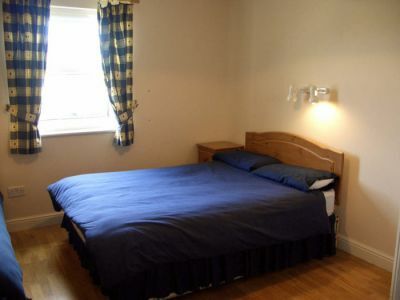 The houses feature 1 double room and 2 double/single bedrooms, one of which is ensuite. These houses are just a few minutes walk to Enniscrone’s beautiful sandy blue flag beach. From Dublin : Via N4 to Longford, N5 to Swinford, N26 toBallina via Foxford. From Belfast: Via M1 to Dungannon, A4 to Belco, N14 to Sligo, N59 to Ballina. From Shannon: N19/N18 via Ennis to Claregalwey, N17 to Claremorris via Tuam, N58 to Foxford, N26 to Ballina. From Cork: N20 via Mallow to Limerick, N18 via Ennis to Claregalway, N17 to Claremorris via Tuam, N58 to Foxford, N26 to Ballina.In Enniscrone From Ballina : go through the town, pass the Benbulbin Hotel on right hand side, take next turn right into Castlecove Holiday Homes. From Sligo: at the beginning of the town pass Fire Station on right hand side drive 500mt approx and turn left into Castlecove Holiday Homes.